Abner Mares, the current WBA World Featherweight Champion in Boxing, has debuted his Instagram series #MaresMindset: Body, Mind & Soul on the social media platform. 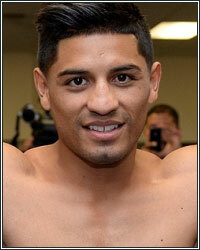 The series features Mares’ training for his June 9 title defense against Leo Santa Cruz at Staples Center. The fight will be broadcast live in the U.S. on SHOWTIME and on Fox in Latin America. Original episodes will post Monday, Wednesday and Fridays at 6 p.m. ET/3 p.m. PT with a recap posting on Sundays at 3 p.m. ET/Noon PT. The series will run until June 9. The series was produced by Oso Studios with Mares Enterprises. Week five (June 4): The champ is here.